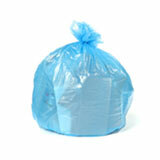 We’re proud to offer these specialty garbage bags which measure a full 4.0 Mil thick. These bruisers sit confidently in the top weight class, ready to take on anything that comes their way. 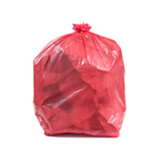 Contractor garbage bags are as important as any other tool on a construction site, keeping things organized, neat, and most of all, safe. 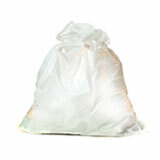 They can be filled to the brim with super heavy, super rough trash, keeping all that stuff out from underfoot. 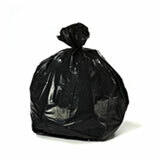 Thick garbage bags at this weight are a force to be reckoned with. Ever hear the phrase “tough as a bag of nails”? 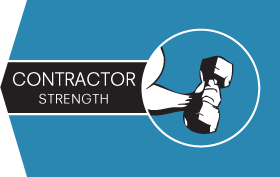 These 4.0 Mil contractor bags fully qualify for that title. They’ll take it all: nails, screws, shattered glass and splintered wood without puncturing. They can carry immensely heavy loads like ripped up linoleum, carpet, and drywalling, all without tearing under the strain. 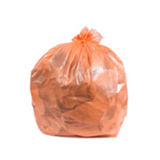 Anyone who’s ever had a garbage bag give out on them at a crucial moment knows that it can be infuriating, dangerous, and time consuming, especially on a hectic construction project, where deadlines are tight and the trash is potentially hazardous. 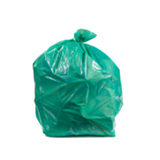 Avoid all that by investing in these heavy duty garbage bags. 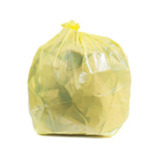 You pay more for bags this strong, but by purchasing wholesale garbage bags, you can cut the price down per bag by a considerable margin. 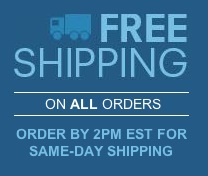 You also get the added convenience of top-quality bulk trash bags delivered right to your door: no more last minute trips to the home improvement depo before a big job. 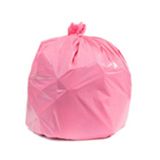 We’ve got a team of experts on hand who understand the performance you need from your bulk trash bags, and we’re happy to answer questions or offer advice. 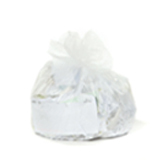 Whenever you order wholesale contractor trash bags from Plastic Place, you get the peace of mind that comes with a 100% satisfaction guarantee.